Conrad’s is a full-service sign company specializing in a wide range of outdoor and indoor signage products for South Dakota, North Dakota, Nebraska, and Wyoming. Our main areas of business are manufacturing, installation, rentals, maintenance, and repair. Our fellow residents of western South Dakota will have seen many of the Black Hills and Rapid City signs that we have proudly produced and displayed. The majority of our clients are located in the Black Hills of South Dakota—however; we provide the installation and service of Black Hills signs throughout the region, across the entire state of South Dakota, and into Nebraska, North Dakota, and Wyoming. 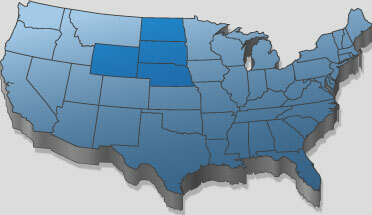 To better serve our more remote clients, shipping is available to anywhere in the United States. As a small, family owned and operated Black Hills signs business, we take great pride in delivering exceptional service during and after every sale. To better serve you, Conrad’s Big “C” Signs offers a limited 1-year warranty on all regional and local Rapid City signs. As a service-oriented enterprise, we’re willing to work with our customers regarding package pricing and special deals. It’s our goal to insure complete customer satisfaction during the concept development, design, production, installation, and maintenance afterward for each product. After all, it is service itself that’s at the heart of all successful sign companies. It’s all about sending the right message! We can help our customers to spotlight their location with an outdoor sign. We also offer lighted signage that can be a great advantage for nighttime advertising. High-quality signage is an important asset for any business; after all, a strong first impression is truly a lasting impression. Responsible advertising means that you stand by the message you are sending. The famous artist and painter Pablo Picasso once said, “Why do two colors, put one next to the other, sing? Can one really explain this? No. Just as one can never learn how to paint.” Color is everywhere in our daily lives, including in many signs and advertisements for different marketing campaigns. Understanding color psychology can help you not only promote your brand better, but evoke emotions to your consumers and audience. Color psychology is just one important aspect to think about when designing your Rapid City signs, billboards, or print advertisements. Conrad’s Big “C” Signs, the leader in Rapid City signs, has the tools to help you design your company’s sign to have the most effect on your consumer. Our Rapid City Signs staff is full of talent and trained for optimum customer service. Because sign companies should offer expertly designed products and a full-service experience. Our signs are all over the Black Hills, South Dakota, and surrounding region. See what we do!